EnteroGuard ensures the maximum survival of probiotic bacteria to the small intestines, and hence enhances their effectiveness. Jarro-Dophilus EPS is ideal for traveling when refrigeration is not readily available. 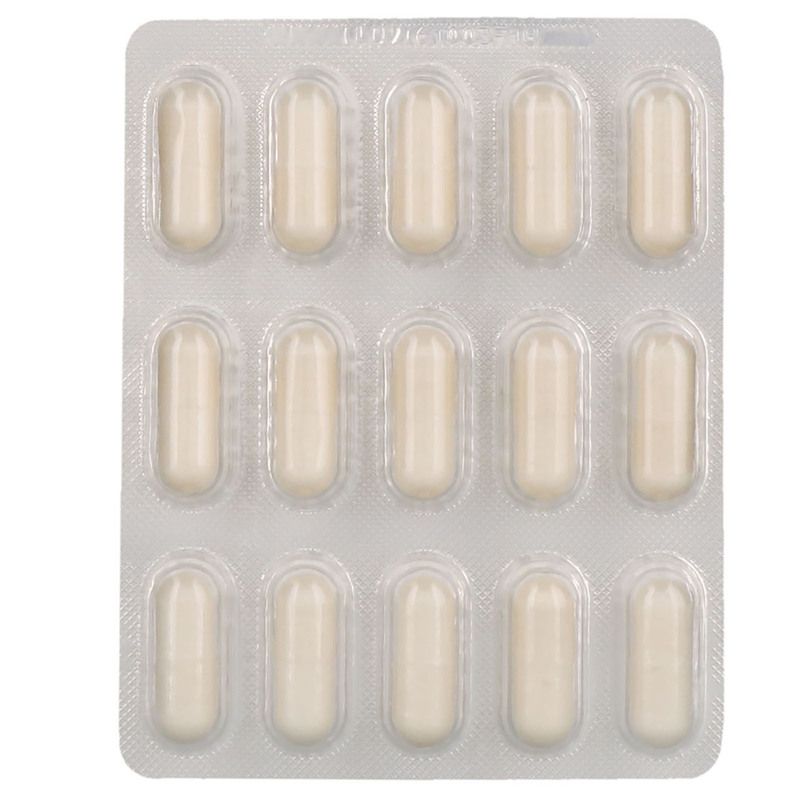 Capsules are individually blister packed to help ensure shelf stability. Lactobacillus, Bifidobacterium, Lactococcus and Pediococcus. Probiotic strains such as B. longum BB536, L-rhamnosus R0011 and L. helveticus R0052 are well characterized and have been shown to have the ability to interact, via multiple mechanisms of action, with the intestinal tract and the microbial ecosystem within it. These strains have been clinically shown to have a positive influence on the composition of the intestinal microflora, promote intestinal health and support immune response. Take 1 capsule up to 4 times per day with water or juice, preferably on an empty stomach, or as directed by your qualified healthcare professional. 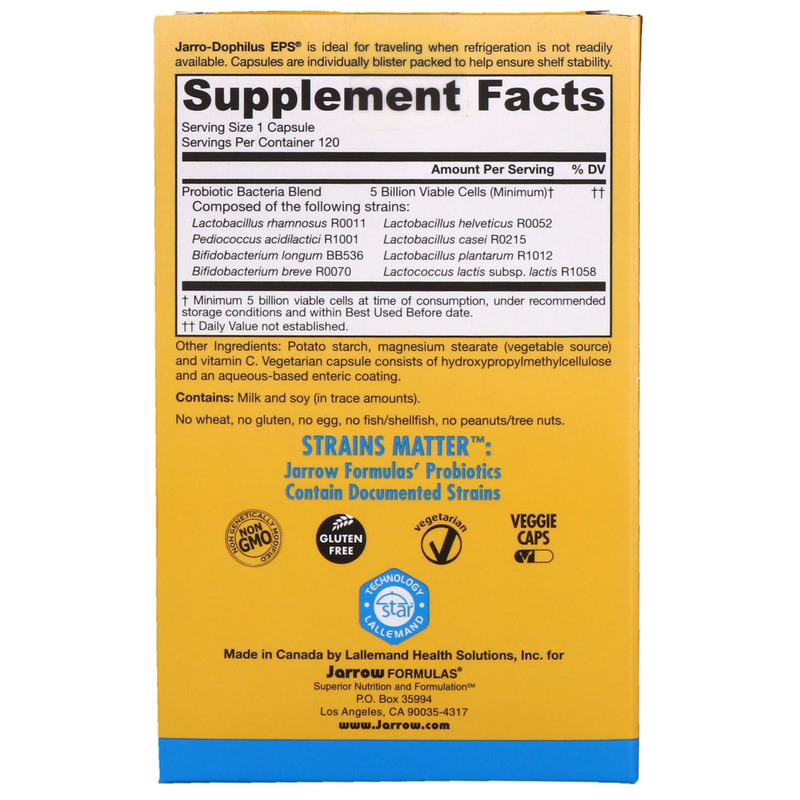 Potato starch, magnesium stearate (vegetable source) and vitamin C. Vegetarian capsule consists of hydroxypropylmethylcellulose and an aqueous-based enteric coating. Contains: Dairy (milk) and soy (in trace amounts). No wheat, no gluten, no egg, no fish/shellfish, no peanuts/tree nuts. 5 Billion viable cells per capsule at time of consumption, under recommended storage conditions, and within Best Used Before Date. 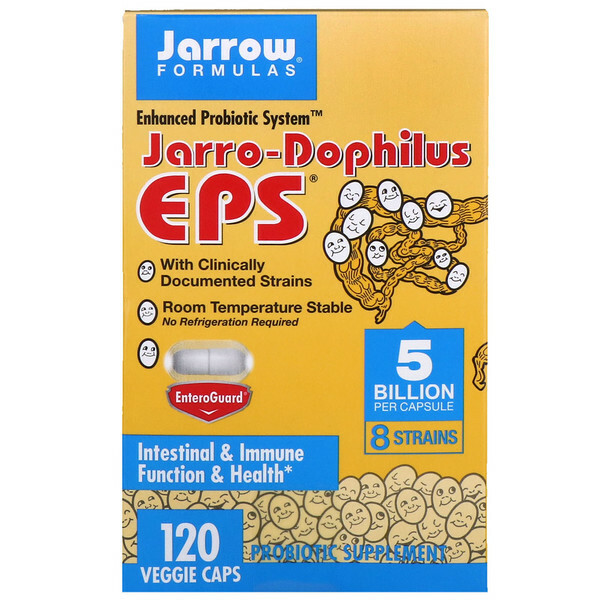 Storage Instructions: Jarro-Dophilus EPS is room temperature stable and does not require refrigeration. Refrigeration will, however, extend the shelf-life. Avoid temperatures above 77°F (25°C).